I read and love "To All The Boys I've Loved Before" back in February, so I was really anticipating this read. The story takes up right where that last book ended. Peter and LJ are both confused, upset and "in like" with each other. But it doesn't take long for Peter and Lara Jean to sort things out. It also doesn't take too long for lots of drama to start up again. Someone is trying pretty hard to bring Peter and Lara down, and Lara is 100 percent it's Peter's old girlfriend, Genevieve. But Peter is adamant that it isn't Gen, since the two are still good friends and spend a lot of time together. Maybe too much time together. It's in the middle of the Genevieve drama that Lara Jean receives an unexpected letter in the mail from an old friend. And after awhile, he's not just a pen pal. He's back in Lara's life and he's determined to show her that they belong together. How was that for vague? haha. I have to admit that this book was confusing and not at all as wonderful and shiny as I was hoping. There was a lot of drama. ha. And I was going to be okay with the drama since this book takes place in high school, but it was the introduction of a new boy half way through the book that really confused me. It might have been easier if the new boy wasn't so awesome. And perfect. And awesome. (did I say awesome twice?) And it might have been easier if Peter wasn't so lame through out the entire book. It got to the point where I wasn't sure how anything would be able to resolve itself well with so many new things going on and so little pages left in the story. Still, I loved Lara Jean and her family, and there were plenty of super cute scenes that I loved reading. Lara Jean and Peter K both have great character arcs, and I enjoyed Lara's growth the most. I admit that I don't like how the book ended, and I blame that on so many new things jumbled up together starting at the halfway point of this read. If you're looking for a something cute and fun, this is a great, quick read. If you're hoping that it is as good as the first one, you might be a little disappointed. 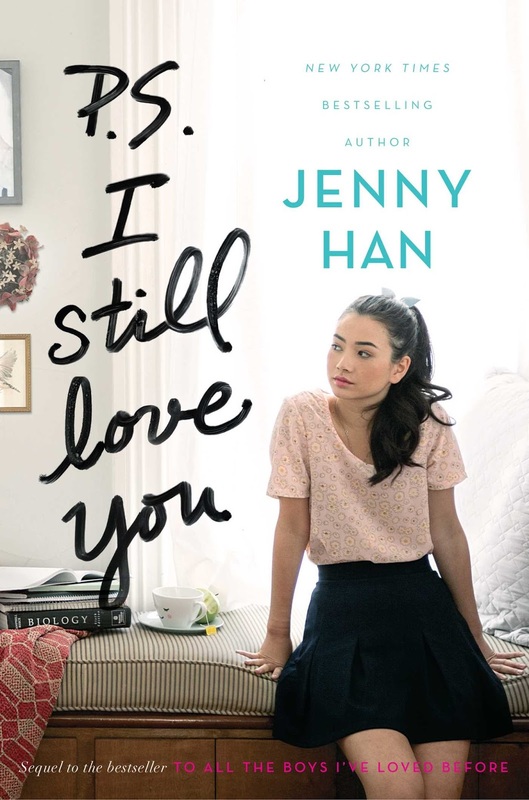 I still consider this a must-read for "To All The Boys I've Loved Before" fans.